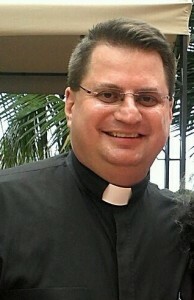 Father Peter M. Idler was raised in East Brunswick, NJ. From the time he was a third grader at St. Thomas the Apostle School in Old Bridge, NJ, he was an altar server and learned to love the ceremonies of the Roman Rite. After his graduation from St. Joseph’s High School in Metuchen, his family moved to Atco, NJ. While attending Seton Hall University, Father Idler found his vocation. He was inspired to become a priest by the beauty of our Catholic Religion and the good example of the many priests he met throughout his life. Father Idler studied at the Pontifical Gregorian University in Rome while in residence at the North American College. He was ordained a deacon at St. Peter's Basilica in 1996. In 1997 he was ordained to the Priesthood of Jesus Christ at the Cathedral of the Immaculate Conception in Camden, NJ, by Bishop James T. McHugh. Father Idler’s public ministry has been varied. From assisting the military chaplains at the NATO base in Pozzuoli, Italy, as a deacon, to serving the inmates of the Federal Correctional Institution in Fairton, NJ, Father enjoys the challenges of an active service to the people of God. 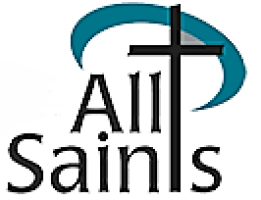 For the last four years, he has served on the National Board of Directors of Regina Caeli Inc. and is proud of his association with that organization’s work in forming Christian families and future saints around the country. Over his twenty years as a priest, he has been a parochial vicar at St. Patrick’s in Woodbury, NJ, St. Rose of Lima in Haddon Heights, NJ, Immaculate Conception in Bridgeton, NJ and has helped in San Pedro Mártir de Verona in Guaynabo, Puerto Rico, while he was an assistant to the retired Cardinal Archbishop of San Juan, His Eminence Luis Aponte Martínez. He has worked as a chaplain in hospitals and at Sacred Heart High School in Vineland, NJ. With so many diverse experiences, Father Idler has much to be thankful for. He enjoys spending time with his cat, Carmelo, Church History, soccer and science fiction. In addition to English, Father Idler speaks Spanish, Italian, and Portuguese. He says that he is the happiest he has ever been since being named as the Pastor of All Saints. He loves serving the people of Millville and its environs.